Kaijunator wrote: Why? I don't have the figure. I never will. I have NECA's masterpiece. Looking for Chris' pics, I found the link to the 10" BC, figured I'd post it for a refresher. I just obtained the 12" NECA Godzilla 2014... yeah, I'm a bit late with that one. Some of the joints were stuck in awkward positions, but a hairdryer fixed all that. Phenomenal figure, easily my favorite G'14 figure. Anyways, I have so many G'14 figures now that I decided I'd go the way I did with the 2005 Kong and collect damn-near everything from the movie. So I wanted to double-check with others on what's left for me to get. That's what I have at present. The Gashapon set is on its way. Still need to grab the Bandai Japan 6" Godzilla and Male MUTO vinyls (anyone have any recommendations of where I should get those? ), and the Bandai Creation 12" Godzilla (though that just came out, probably not going to see it for a while, all my TRU's are slow). Also note, I'm not interested in those "Egg" figures, the Monsterarts variants, or the X-Plus. Besides all those, are there any other figures I'm missing? That looks like a rather complete collection, actually. Oh wait, the Hallmark ornament! That's not there! I don't see the Bandai Japan MMS Godzilla 2014 either, and soon you can add the 10" BC Vinyl. If you want to get technical, there's the spitfire SHMA as well. GFAN198423 wrote: If you want to get technical, there's the spitfire SHMA as well. Uh, he said that he wasn't interested in the MonsterArts variants. Hit reply without scrolling past the image. Those are the only other items I can think of that no one else has mentioned, not counting statues. What is it about the transforming Egg figures that's keeping you away from them? I mean, they're cheap, very easy to get til this day, and aren't really that bad looking. Not saying you should get them, but they seem ideal if you're trying to get as complete as you can. Not a full figure, but the 6" figure sized bust cup top from Japanese theaters would fit with the collection. I didn't even know these were out. Guess that makes two more G'14's. gigan72 wrote: That looks like a rather complete collection, actually. Oh, whoops! I do actually have that one, I forgot to include it in the picture. What exactly was the hatching Godzilla again? I don't remember that one. Might want to try to track down the bottlecap figure. I forgot about that one, I have a bunch of the older bottle cap figure lines so it would be a nice addition. I just don't really care for them. However, if I can get them dirt cheap, I will. Recommend any sites? GFAN198423 wrote: Not a full figure, but the 6" figure sized bust cup top from Japanese theaters would fit with the collection. I've been eyeing that one. Wanted to try to get it with the cup if possible. Oh cool, I really didn't think those finger puppets would ever come out. I'll have to track them down. Why they continue to use that piece of poop BC Bandai in all their marketing really boggles the mind. That thing looks hideous. 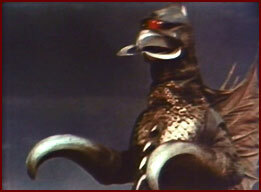 Why don't Toho have them use an actual movie still instead. It's a very strange marketing choice, I can't think of any other standard package art for a product line that used and actual product and not art or a film image. On top of it all, using a sub-par figure at that. Mr. X wrote: I just obtained the 12" NECA Godzilla 2014... yeah, I'm a bit late with that one. Some of the joints were stuck in awkward positions, but a hairdryer fixed all that. Phenomenal figure, easily my favorite G'14 figure. Both Godzilla and Muto are still available on Amazon for good prices. How much did the 12" Neca cost you? I haven't found one at a low enough price yet. Like Rody said you should get both I have the 2014 however it has some problems for one, if you thought the Neca 2014's head was too small it may be a deal breaker as the head is smaller than a peanut on the Bandai, the mouth paint is just one long white line and the eyes have SHMA problems (Though it's still hilariously better than it's $70 counterpart) and it has a few other problems such as I never found the arm articulation to amount to much however it's got great detail and a lot of color making it possibly the most colorful of the 2014's and it's a new Bandai vinyl. however I think you should get the MUTO first while I don't have it but from what I have seen sadly it's just smooth all around with little detail and the EMP effect is orange however it's the only big MUTO out there and it's more accurate to the on screen version than 2014 and it just looks cooler get it first and than get 2014 you'll be happier that way. Starsteam wrote: Oh cool, I really didn't think those finger puppets would ever come out. I'll have to track them down. Oh yeah, that thing. Maybe. Rody wrote: Both Godzilla and Muto are still available on Amazon for good prices. Probably gonna go for those soon then. Thanks! NECA Goji was $65 shipped. I believe retail was $60 (might have been $50 - either way, taking shipping into account for such a large figure, I don't think that's too bad). I wanted to try to get one cheaper myself, but I got tired of waiting. Your best bet might be Ebay, cheaper auctions pop up from time to time. g2vd wrote: Like Rody said you should get both I have the 2014 however it has some problems for one, if you thought the Neca 2014's head was too small it may be a deal breaker as the head is smaller than a peanut on the Bandai, the mouth paint is just one long white line and the eyes have SHMA problems (Though it's still hilariously better than it's $70 counterpart) and it has a few other problems such as I never found the arm articulation to amount to much however it's got great detail and a lot of color making it possibly the most colorful of the 2014's and it's a new Bandai vinyl. however I think you should get the MUTO first while I don't have it but from what I have seen sadly it's just smooth all around with little detail and the EMP effect is orange however it's the only big MUTO out there and it's more accurate to the on screen version than 2014 and it just looks cooler get it first and than get 2014 you'll be happier that way. I definitely intend on getting both, for sure, but I am aware they leave a lot to be desired. The Bandai Creations Godzilla vinyl looks better in about every way. The vinyl MUTO is the only MUTO I don't have besides the Egg figure, eager to get it. I wish somebody, be it Bandai Japan or USA, would make a 6" of the female. From every reference image I've seen, NECA's proportions are spot on, this Godzilla's head is relatively smaller to his body than some past designs, though I feel like it's not too of from a Heisei Godzilla, but the over shape of his body makes the head seem even smaller. I do find that the City of Destruction Godzilla and the Bandai MMS made the head smaller to the body than the design, but at least the CofD figure is sculpted from who knows what reference as some details seem made up or stylized. I don't have the MMS yet so I can't comment if that does the same. GFAN198423 wrote: From every reference image I've seen, NECA's proportions are spot on, this Godzilla's head is relatively smaller to his body than some past designs, though I feel like it's not too of from a Heisei Godzilla, but the over shape of his body makes the head seem even smaller. GFAN198423 wrote: I do find that the City of Destruction Godzilla and the Bandai MMS made the head smaller to the body than the design, but at least the CofD figure is sculpted from who knows what reference as some details seem made up or stylized. I don't have the MMS yet so I can't comment if that does the same. I believe you'll find that all of the Bandai figures, from the MonsterArts figure down to the smallest candy toy, both Bandai Creation and Bandai Japan, have the same altered feet wherein the toes are equally proportioned and slightly elongated. The larger figures seem to have proportionally bigger heads than the NECA figures do also. Oh, man. To this day I still don't like how the Jakks looks. It is a big figure...and that's pretty much its only virtue. Manticore wrote: Also, I pretty much agree with the poll results. Sorry, I'm not that much of a fan of the campy, absurd Showa era. Then you're not a TRRRRrrrRrrUUUUuuUUuuUUuueEEeeEEeeEeeE FFFFFFFAAAAAAaAaAaAaaaaAAaanNnnnnnNNnnNnnNnnNnNN!